Our Project Intern Philine played a crucial role in putting together Social Business Day 2018, hear from her how it all came together. Over 1,200 delegates from 42 countries met in Electronic City in Bengaluru from the 28th-29th of June 2018. The theme of this year’s Social Business Day was the title of Prof. Yunus’ new book, ‘A World of Three Zeros. 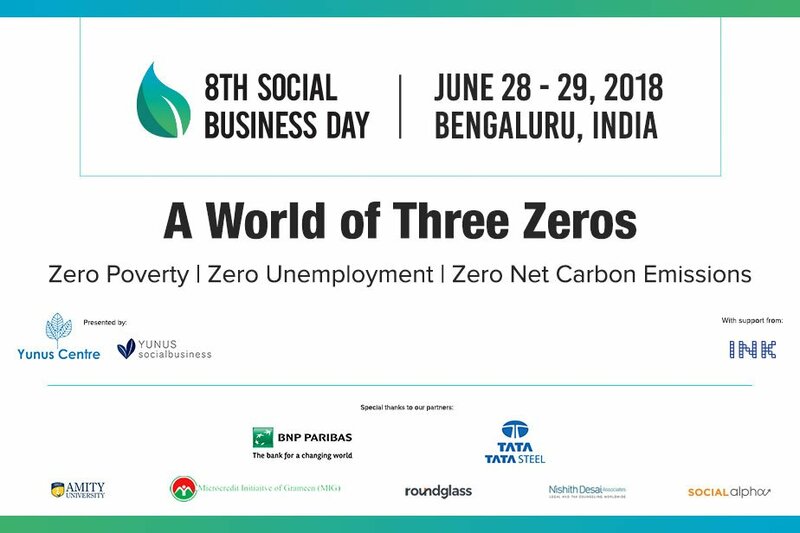 Zero Poverty, Zero Unemployment and Zero Net Carbon Emissions.’ A daunting set of challenges, but delegates came together from all over the world to discuss and debate how to solve them with the tools of social business. Long before the SBD 2018 took place, the YSB Teams in Mumbai and Bengaluru started planning the conference. Everything from booking the venue, putting together the schedule and most importantly speakers from all over the world had to be organized to ensure the event was a success. 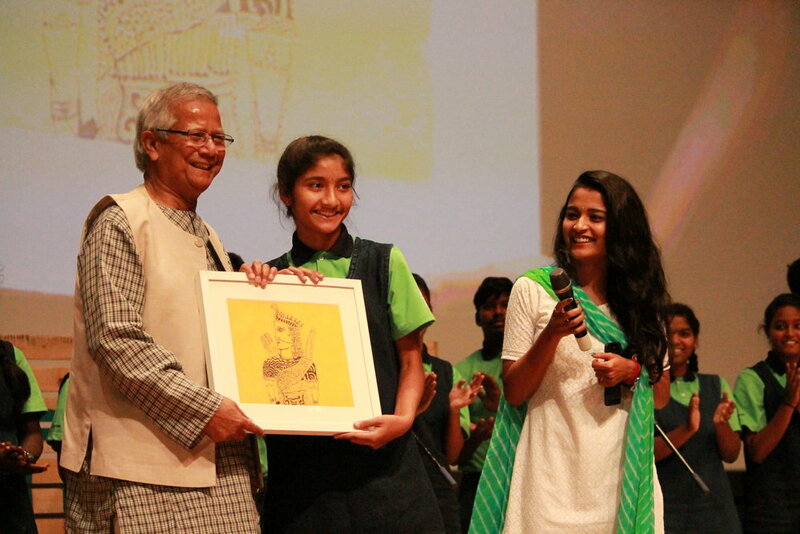 Not only was this year the first-ever SBD in India but also the birthday of the Nobel Peace Laureate Prof Yunus himself. 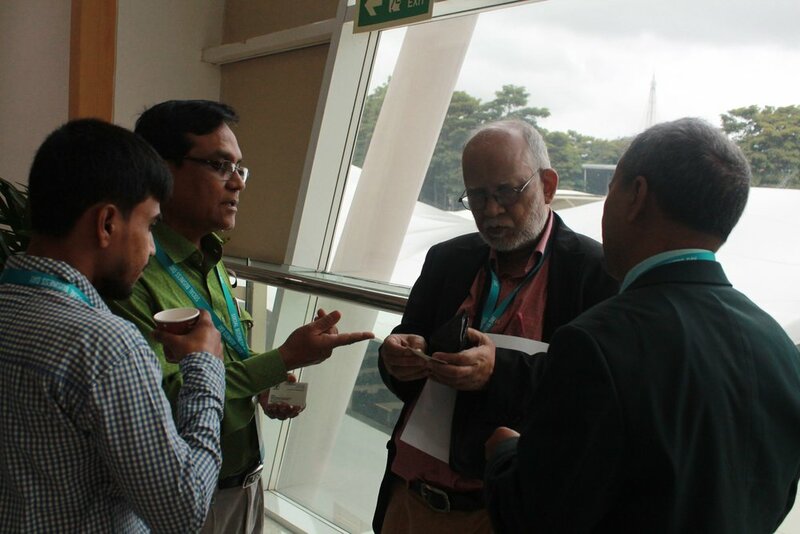 During the plenaries, breakout panel sessions and country forums, attendees and speakers had the opportunity to exchange ideas, talk about past successes and learnings as well as future plans for Social Businesses. These concrete examples are vital, if we want to learn from failures and share the learnings of the social business model. After the registration, Lamiya Morshed, Executive Director of the Yunus Centre, and Aarti Wig, Co-founder of Yunus Social Business India, opened the conference with a warm welcome and an important message. This Social Business Day was not only about Professor Yunus’s goal of three zeros, Aarti underlined that the crucial point that we are past the why should we do Social Business, but should concentrate on the how we should do it. The next two days highlighted the different ways those three zeros should and could be achieved with many strategies, in different sectors and countries. In addition, Professor Yunus reminded the audience of topics dear to him: the unequal distribution of wealth, humans as job creators and not just employees and especially AI & technology as both an opportunity to bring change, and a huge challenge. 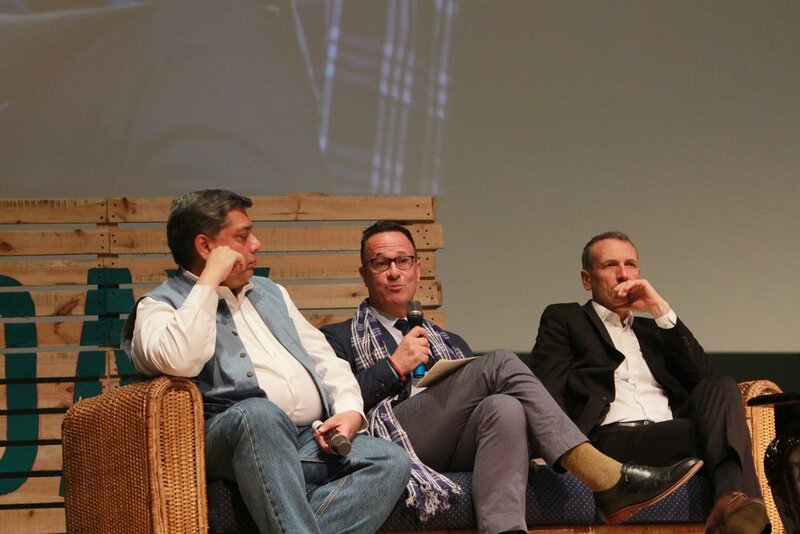 The first plenary debated upon the different possibilities to achieve the goals of the Three Zeros. Experts form various fields discussed how one can achieve such ambitious outcomes. Emmanuel Faber (CEO of Danone) depicted how a multinational can turn its path around and initiate change. The Grameen Danone social business example not only helped thousands of undernourished children, but at the same time the relationship Danone has with their employees and themselves. Most of their employees have now invested in Social Businesses, demonstrating that social cause and business can act as one! Later that day the attendees dove further into the discussion about technology as a force for good and bad. Scientists, entrepreneurs and politicians should be careful when setting guidelines on how to most efficiently utilize technology, as otherwise it could lead us further to a world of excess, not three zeros. 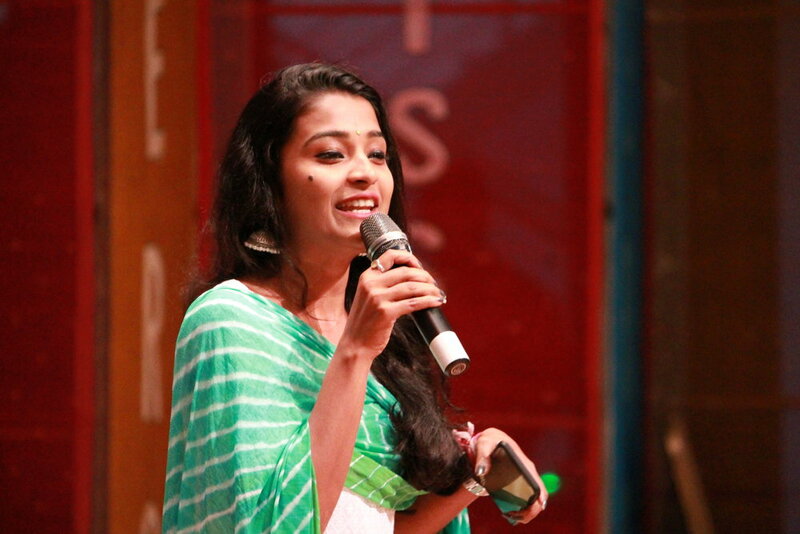 Dr Susmita Mohanty, a spaceship designer and serial space entrepreneur made a particularly interesting speech. She is not only the cofounder and CEO of EARTH2ORBIT, India’s first private space start-up but also two other companies: Moonfront in San Francisco and Liquifer in Vienna. Susmita used to design space habitats, but realized during her research that we only have one earth to protect and is now using tech to address climate change and life on earth. Throughout the day, attendees could stroll through the corridors of Building 50, indulge in a hot chai, discuss and network with hundreds of inspiring personalities. Social conferences like these are important to see the progress we have made as well as gaining inspiration for future ideas, projects, and businesses. Afterwardsthe attendees had the choice to join 10 different panels. From the youth as a driving force, to the role of corporate action tanks or agriculture as an opportunity, the variety offered something for everybody. 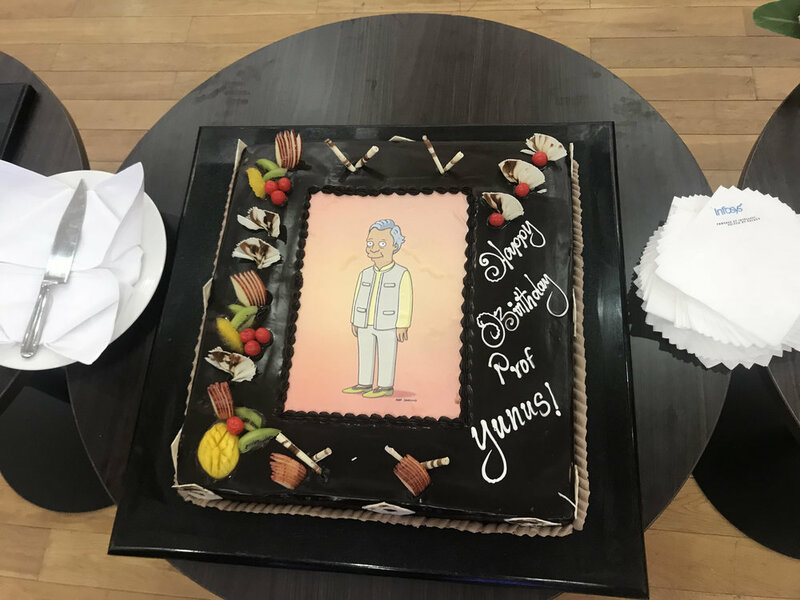 Last but not least, the night came to an end at a beautiful dinner including cake, presentations and speeches and a surprise for Professor Yunus’ 78th birthday. "Never provide poor solutions to poor people. They are smart people who need smart solutions." She highlighted the fact that poor people are often treated differently and looked down upon. Chetna has extensive experience in promoting the rights and chances of poor women from rural areas. Her foundation has supported over 400,000 women and plans to reach one million female entrepreneurs by 2022. Plenaries ended with the sizzling combination of sports and social business. One of the most impressive pieces of news was the collaboration of the Olympic Committee in Paris with the Yunus Centre, to create the most social Olympic Games so far. Finally, delegates were sent off to the country forums with a mesmerizing performance by the students of Inventure Academy. The day ended with newly gained knowledge, new contacts, new perspectives, laughter and an exhausted but very happy Professor Yunus and YSB Team.